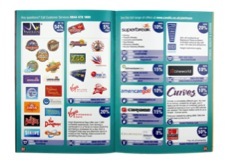 This is your route to big savings all year round on an exciting range of products and benefits for you and your family. Candis Plus entitles you to a whole raft of benefits and savings all year round. Every subscription to Candis Plus includes your membership of Candis Club. The mission of the Club is to bring people together to promote healthy living, community and family life and to support and advance the cause of health charities. And after over 50 years of giving, the donations of members – past and present – to these worthwhile causes have reached beyond the £54 million mark, guaranteeing a minimum of £250,000 in donations to health charities in 2015. 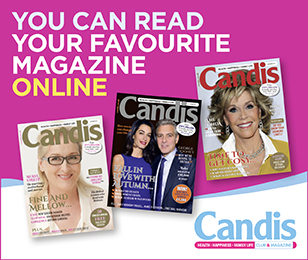 Every member (and there are over 100,000 of them) enjoys a brilliant monthly magazine delivered direct to their door, a fabulous range of benefits and savings, entry each month into the Candis Lucky Numbers draw and, if they qualify, entry into our loyalty draw, Candis Hidden Gems. In addition members have the satisfaction of making a contribution to health charities via the Candis Big Give initiative. 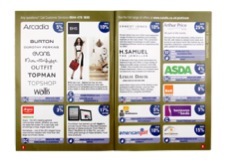 With your Candis Plus membership card you will receive a savings booklet that will list all the great deals available to you and how to access them and you will be able to view all the offers available online. You can purchase Candis Plus for only £6.99 a month!